Rev. Fr. Robert Lussier OSB oliv has passed away. 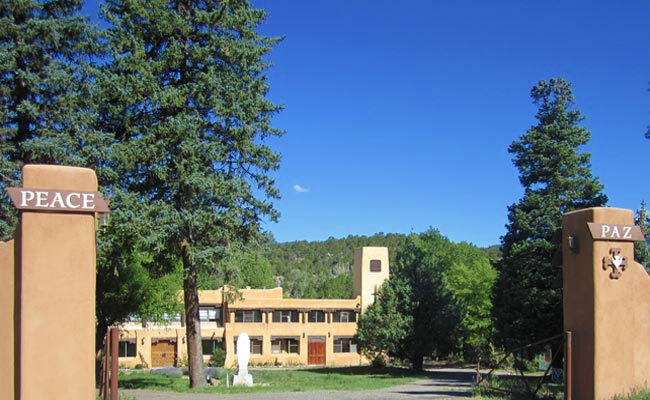 Our Lady of Guadalupe Abbey is an Olivetan Benedictine monastery located in the Pecos River Canyon 25 miles east of Santa Fe, New Mexico, USA. We offer group retreats and individual retreats, and spiritual direction. Everyone is welcome. 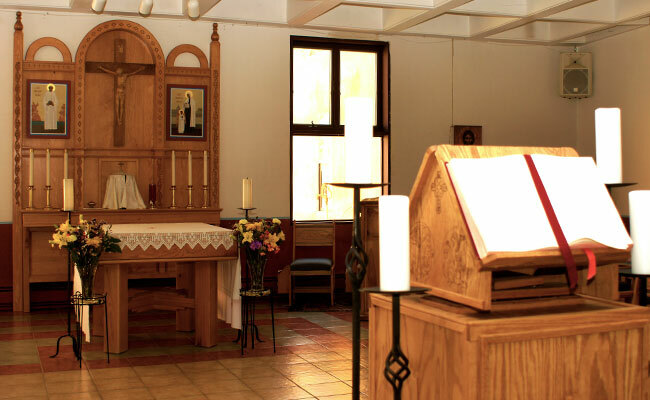 Please visit us for a day, weekend or longer, or join one of our group retreats, a class from our School of Liturgical Arts, our School of Fine Arts. We are always happy to welcome you. The Abbey now enters the 71st year of continuous monastic presence in Pecos. 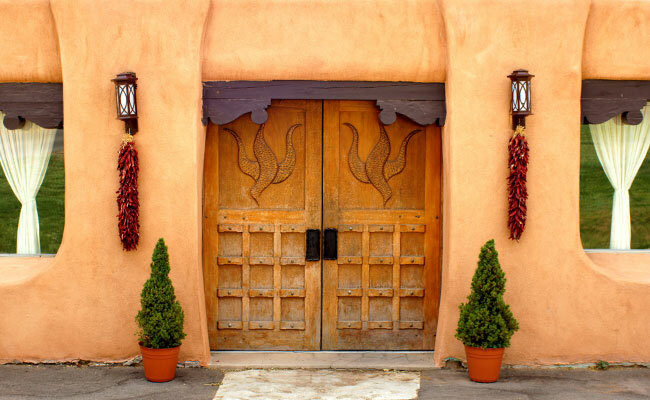 We look forward to serving the needs of our neighbors and guests for many years to come. Do you need to take a break off I 25, rest those weary limbs? Are you in need of a good nights sleep in a quiet place in the beautiful Pecos Valley Wilderness? Please take advantage of our special Route 66 Rate of $66.00 per person per night. The rate includes your guest room with private bathroom, a monastic welcome package,dinner and continental breakfast. Extra charge applies for lunch. The special Route 66 Rate is available for individual guests Monday - Thursday, April - September. Cyclists are welcome, want to pitch your tent, that's fine too. Group and family rates are available. Please call (505) 757-6415 ext 112. All reservations must be made in advance of your arrival. You are most welcome, and we will say a prayer for you while you dream the night away! If you would like to aid us in achieving our vision, click here.